My wife and I love cruising. In fact, we’ve even taken our son on a couple cruises already. Overall, we’ve taken a quite a few cruises with Carnival Cruise Lines. From our experience, we feel like we should share what we thought were some of the hidden costs. You may be surprised by some of these costs, especially if you’ve never been on a cruise before. These hidden costs do add to the cost of a cruise. That said, we personally think that cruises are still an amazing value for your vacation dollar. In fact, we think cruises are such a great value that we already have booked future Carnival cruises. Here are the hidden costs that you might experience on a Carnival cruise. If you’ve never made it to the actual booking screen on the Carnival website then you might be surprised that you’ll have to pay more than the initial price cruise lines advertise on their sites. All cruises have port fees and taxes that can easily add at least $100 or more depending on the number of guests and your port schedule. On top of that, you’ll have to pay to move up to higher floors or to different areas of the ship. The exceptions are when you want to be in the lowest category room of the room class you’re in or Carnival is running a free upgrades sale. To find a great deal on your next cruise, check out the exclusive deals at Cruise Direct. It is easy to think that the cruise only costs the price that you pay when you book the cruise. 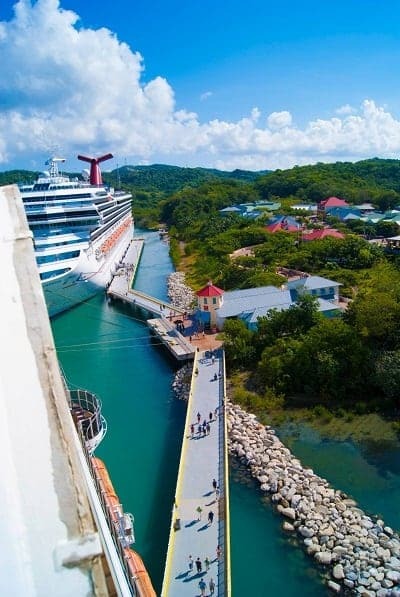 Unfortunately, unless you live really close to the port, you’re going to have to pay a significant amount in either airfare, car rentals or gasoline to get to the cruise ship. If you are traveling from more than a couple of hours away, you’ll probably want to arrive a day early. Why? It’s best to avoid any travel snafus that would cause you to miss the cruise ship. After all, the cruise ship won’t wait for you if you get stuck in traffic or one of your flights are delayed. Arriving a day beforehand will result in additional costs. You’ll have to find a place to stay which will likely mean a hotel near the port. Personally, my wife and I usually use hotel points or free nights from one of our hotel credit cards to offset this cost. There is a bright side to staying in a hotel the night before though. You might be able to save on the next hidden cost, parking. If you’re driving to the port then you had better be prepared to pay parking fees. In general, it is most expensive to park at the port facilities, but they’re also closest to the cruise ship. Most ports charge $15-$25 a day. There likely will be remote parking lots owned by other companies that will charge roughly half of the cost and shuttle you to the cruise ship. One way I save on parking is by booking a hotel package near the port that allows you to leave your car at the hotel while you’re on the cruise. The hotel I stayed at one time even had a free shuttle to take us to the cruise ship. Of course, there is something to be said about parking in the port parking lot. Yes, it costs more, but it is so much more convenient. When you get off the cruise ship and you’re ready to just go home, you don’t have to wait for a shuttle to take you to your car. You walk straight to your car and head home. Currently, Carnival charges $13.99 per person per day for gratuities for the staff of the cruise ship or $15.99 per person per day for those staying in suites. They automatically add these charges to your onboard account while you’re on the cruise if you didn’t pre-pay them in advance. If you didn’t read the cruise contract documents closely, you may have missed this expense that can add at least $100 to the price of your cruise cabin for two people. You can remove the tips, but the staff almost always provide excellent service and a good portion of their earnings come from the tips, so I would suggest against it unless you have a horrible experience. One nice thing about cruising with a child under the age of two is the fact that they don’t require gratuities for the baby. For kids two and up, expect the charge to be added to your bill. Before we get back to the list, here’s a way to save hundreds of dollars on your next cruise using credit card sign up bonuses. The Bank of America Travel Rewards credit card lets you earn a bonus of $250 toward your next cruise. As an added bonus, this card has no annual fee. You’ll earn 1.5 points per dollar on all your purchases, too. In order to earn the bonus, you must achieve the low spending threshold of just $1,000 in purchases within the first 90 days of card membership to earn 25,000 bonus points that can be redeemed for $250 in travel purchases. Apply for the Bank of America Travel Rewards credit card today. Want $560 off your next cruise? Consider signing up for the Capital One Venture Rewards credit card. All you have to do is spend $3,000 in purchases in the first three months of card membership and Capital One will give you 50,000 points worth a $500 statement credit for travel expenses, including cruise charges. You’ll also earn 2 miles per dollar on all of your purchases which equals 6,000 points or $60 based on the minimum $3,000 of spending. The annual fee is waived the first year, but there is a $95 annual fee each year thereafter. Just because the cruise ship stops in various countries and exotic destinations doesn’t mean that anything beyond stopping there and letting you off the boat is included. In fact, the ports that they stop at almost always have a village of shops as soon as you get off the boat. These shops may be owned by the cruise lines or give the cruise lines a cut of their sales. To get to the real experiences of the country, you’ll have to take an excursion, a guided tour or planned activity that takes you into the more normal areas of the country you’re visiting, or go exploring on your own. Excursions can be relatively cheap if you book an independent tour (less than $50 per person). They can also be expensive if you pick a Carnival sponsored excursion that is more involved (up to $200 or more per person). It all depends on what you want to do. If you hadn’t picked up on it yet, tipping is a standard practice almost everywhere you go on a cruise. I tipped my hotel shuttle driver, the porters at the ship that take your baggage, any room service waiters that delivered us food to our room, excursion tour guides and the hotel shuttle driver when we returned. That’s a lot of tipping that can add up fast. Some people even give additional tips to their room stewards, their wait staff in the dining room and others on the ship. Unfortunately, in other countries, some people will be very rude and basically demand a tip for doing almost nothing. It helps to research where you will be headed in advance to be prepared for these types of people. Unfortunately, your cruise fare doesn’t include every activity that happens on the ship, which can be disappointing for some people. Some activities, like the IMAX theater on the newer Carnival ships, have a fee associated with them. Other activities, like the Build-A-Bear program cost money, too. Oh, and don’t forget bingo. That will cost you money every time you buy a card. Finally, babysitting at the kids club can cost an hourly fee at certain times. Be sure to read up on this in advance if you planned on leaving your kids at the kids club all day and night. 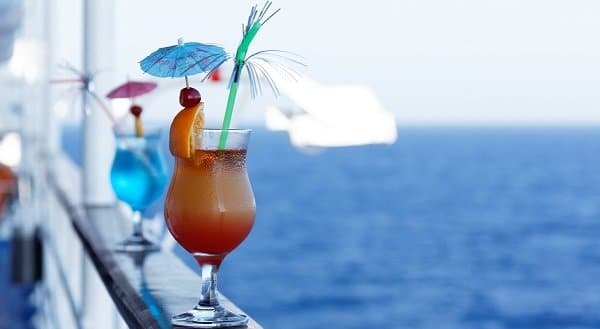 Something many first time cruisers don’t realize is that sodas and alcohol are not included in the cruise fare. Sodas are around $2 per drink and they don’t even give you the can. Alcohol is even more expensive. Alcoholic drinks range from $5 for simple drinks to over $10 for some of the fancier ones. Beers start at $5 and get more expensive for the specialty beers. Don’t forget that, in addition to the prices for drinks, there is an automatic 15% gratuity added to all drink orders that you can’t remove unless you go to guest services and have a specific reason. If you haven’t been upsold enough at this point, the cruise ships have another upsell option for you. Most cruise ships have specialty restaurants such as steakhouses, fancy Italian restaurants and even sushi. You may even see some eateries you recognize from home. These specialty restaurants can cost just a few dollars extra per person each time you dine at them up to $40+ per person for the fancier options. Personally, we like the free food just fine so we never opt for these fancier eateries. Of course, we aren’t food snobs, either. You’ll be glad to know this is the last hidden cost I could think of. Specialty coffees (anything other than straight coffee), drinks other than water, teas and juices as well as specialty foods (think milkshakes and specialty deserts not served at meal time) all cost extra. These are just a few dollars apiece, but they can add up fast if you don’t watch out. 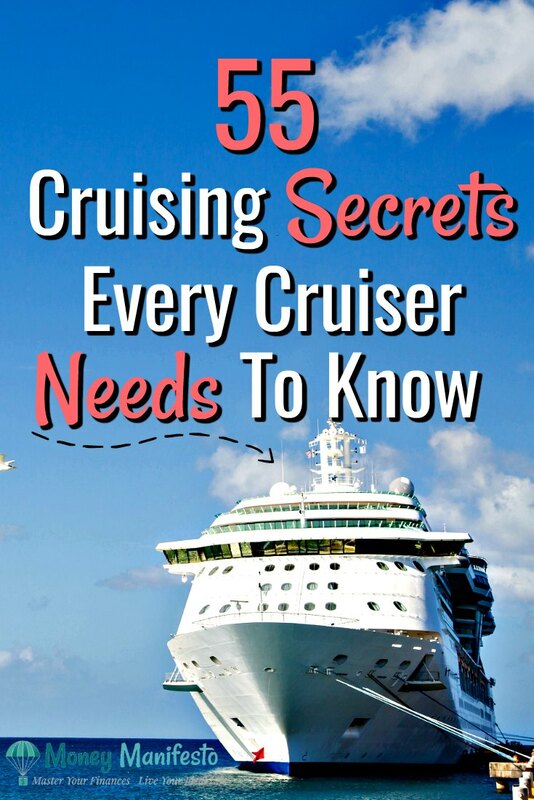 Want To Know 55 Cruising Secrets Every Cruiser Need To Know? Make sure to check out our even more detailed post that shares 55 cruising secrets every cruiser needs to know. Just click the image below. Even with all of these potential hidden costs, cruises are still a great value. If you’re smart and budget for them ahead of time you’ll have more than enough money to have a great vacation. When you’re looking to book your next cruise, check out the exclusive deals at Cruise Direct. Many of the hidden fees are easily avoidable. You just have to plan ahead. However, others cannot be avoided. The more you’re prepared, the less you’ll be surprised. You’ll enjoy your vacation more, too, just like we do every time we cruise. If you aren’t ready to cruise yet, make sure you pin the image below for later. That way you can check out this list again to make sure you budget for every cost. Are there any hidden Carnival cruise costs that I have missed? Is there something on this list that you’d pay for no matter how much it cost? Do you think any of the fees or costs are unreasonable? Let me know what you think in the comments. Psst! 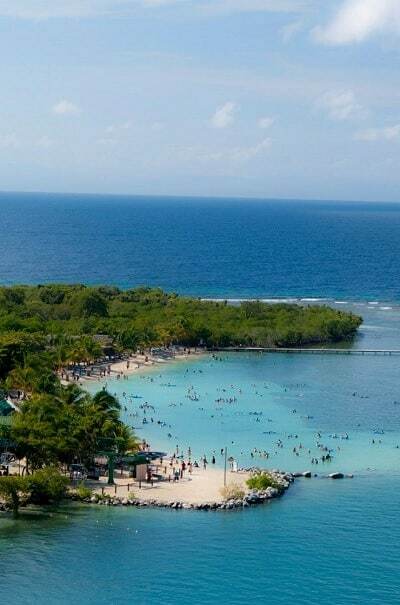 If you want to get an idea of how much a cruise cost in full, you can read our detailed cruise cost reports for our 7 day honeymoon Carnival cruise or our cruise cost report for our first ever cruise, a 5 day Bahamas cruise. Thank you for the advice. However I found a hidden cost I wasn’t prepared for that I think others should know prior. I will be going on Carnival cruise line and didn’t realize the amount that was held on the sign and sail account you must have. I found out that for our 5 day cruise, I needed to put $200 pp down. Now, I have 5 people going (adding $1,000 to my budget) and that was a shock to find out a week before departing. So, I just wanted to advise everyone to check on this added expense when budgeting for your cruise. Prices may vary depending on the duration, and spending. are port charges included in the taxes and charges listed on the cruise web sites or are they part of the hidden costs? I’ve been on several carnival cruises and most the things you listed are on every ship.. not only carnival. Also.. if you purchase the alcohol package you get specialty coffe and you don’t have to worry about extra charge.. just tips if you want. On every cruise line I’m sure there are things that cost some extra money.. other wise it wouldn’t be private. Some people will pay extra for dining cause they don’t want to sit in a loud dining room. Very true. I’ve only sailed on Carnival so I didn’t want to make broad assumptions of what happens on other cruise lines. On Norwegian the Ultimate Beverage package does not include specialty coffee. I took my first cruise on Carnival several years ago. It was absolutely fabulous, no issues, no problems. We paid ALL our fees in advance so there was NO bill upon disembarking. One tip I learned: pay the porter $5-$6 and when you get to your room, your bags will already be there rather than having to wait for them. Do the same thing when you leave the ship and your bags will be ready for you to pick up. It was an amazing cruise and I’m roaring to go again next year. Interesting about tipping the porter. I know there is a priority luggage area for certain guests. I wonder if the big tip gets you in that area? If the luggage just goes with everyone else, it’s up the the crew on the ship as to when your luggage gets delivered. I will be a first time adult cruiser and I am trying to check out EVERYTHINg before hand so we have enough money saved for the fun things, and for the extra wants and needs. I am glad I read this. How do you know what all the fees will be before hand? DO you add it all up on your own and pay before hand, like having a “credit” on the account and you budget well? I was going to purchase the unlimited soft drinks, but I read it may not be worth it, and have each guest bring a 12 pack of soda, do you do that as well? Last I checked, Carnival still allowed a 12 pack of soda per person in cans only. That lasted us just fine and was $3.33 per 12 pack instead of $2 to $3 per soda. We just put them in a carry on and wheeled them on the ship. As far as knowing how much everything will cost, do some research on prices on the things you’ll want to spend money on. Then, put that amount in a savings account. You can choose to put cash on your onboard spending account instead of a debit/credit card, but it’s a pain. If you can stick to your budget, just use a card then pay it off when you get home. If you can’t, you may want to put cash on your card when you get to the ship. As far as Soda – Carnival allows you to bring on one 12 pack of cans per person. We never buy soda, bring it and get cups of ice!! Also don’t forget one 750ml or less bottle of wine or champagne is allowed to be brought on board per adult. Be sure to check out smaller ports. I live in NC and booked cruise from Charleston SC. No hotel cost and short driving time. Best way for this mom and three teens to vacation. We just booked our first cruise in a long time and it will be on the Carnival Fantasy out of Mobile, Alabama. Should be a nice trip because it is super close to us compared to other ports. We are leaving out of Mobile, Al in May!!!! Im so excited! As this is my family and I’s first cruise. Well except for my husband who’s in the Navy and cruises around the world often but atleast this one is for fun and pleasure!!!!! Exciting. We are planning our first cruise in Oct. We live in NC so now we are trying to decide if we are flying or driving. If go down a day earlier it will be cheaper. If we drive down and fly back that might not be so bad. Then again by the time we rent a car, a hotel room and all that it’s probably the same. I didn’t know all these at first but after looking and researching I see. We always arrive a day early just in case we have problems on the way. However, for our next cruise, we’re driving the morning of. We’ll see how it goes. Thank you for the information. It was very helpful! Can you tell me anything about a workout room or gym? I believe most ships have workout rooms or gyms, but the best bet is to research the specific ship you’re looking to sail on. Great info. Thanks for sharing. We will be going on our first cruise and feel prepared for the extra charges. However, I’m looking for advice for drinks. We both drinks lots of bottled waters (6-8 per day) and enjoy alcoholic drinks when we are away. I’d say we drink 4-6 per evening and 4-6 per pool day. Should we get the beverage package of $50/pp/pd? Seems like a waste of money for port days. Does that include the water as well or is that a separate charge? Can we preorder 4-6 packs of water to cover our 7 day cruise? Thanks for your advice! As far as your bottled waters, you should be able to order them here before you leave for your cruise (https://www.carnival.com/FunShops/in-stateroom-beverages/water) They will be delivered in your state room when you arrive or shortly thereafter from my last experience. As far as the drink packages go, it really depends on how much drinking you do. If you figure an average drink costs roughly $10 (unless you’re a beer drinker, then they’re cheaper) then you just have to estimate how much you’re going to drink and go the cheaper route. If you don’t drink at all on port days and you have multiple, it may be cheaper just to pay for individual drinks. If you drink a lot every day regardless, the drink package is probably cheaper. I totally understand and cruise for the same reasons 🙂 That and we love it. Do people not read any more? I wouldn’t call these hidden costs, they are additional costs. If you read the materials from the cruise line, before you book, you will find information on all of these. Sadly, you’ve hit the nail on the head. Many people do not read and do research anymore. “additional costs” should be upfront and one should not have to search or dig for them! Perhaps, the title should not say “Hidden Fees”. Gratuities are now $12.95 per person per day, they just went up. Yes these items are not hidden, but should be a consideration factor in any cruise you take. Someone mentioned Norwegian had free parking…I don’t think this is true. All cruise lines use the ports and the parking areas are all associated with daily parking charges. This article enforces the idea that people should use a Travel Agent. They can help you find the best fares for air, pre and post cruise hotels(even the free parking and shuttles hotels) the travel agent will look out for your best interest, not the cruise lines profit. Thanks for your thoughts. I’ll make sure to update the gratuity cost, I didn’t realize they went up again! 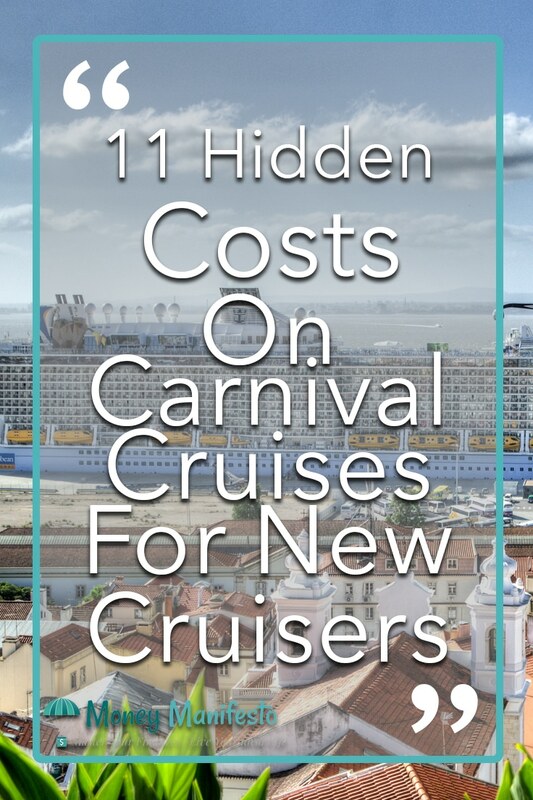 If you’re new to cruising and just looking at the base price listed on their website, many of these costs do seem hidden. However, experienced cruisers should be well aware after their first cruise. Travel agents can save you time in finding deals, but thanks to the internet you can do a lot of that hunting yourself if you enjoy it and like spending time doing research. Curious about the drink packages. Do they charge 15% on every drink or add it to the entire purchase of the package? We are going on a cruise in July, and trying to have all the fees.. We prepaid gratuities already. Last time I was on a cruise they added it to the price of the package on carnival. So if it was $50/day for the drink package, the cost would be $57.50 with 15% gratuity. On carnival, they also make everyone in the cabin of drinking age buy the drink package last I heard. No, Norwegian does NOT have free parking we just went on a Cruise out of New Orleans (7 Day) and parking was $140.00. February 2018. I went on my first and only cruise in 2014 and it was by far the best vacation I’ve ever had! It was with Carnival and I booked through a friend that is a travel agent. She told us about all the “hidden” fees and looked for great deals that include free onboard credits. I think the key to a great price is to be flexible with your dates and destinations. Instead of searching and searching through all the cruise deals, we just gave her our budget, approximate dates and then she gave us some options. Would do it again in a heartbeat! Of course we don’t drink alcohol, except maybe a glass of wine with dinner and ordered soda or special drinks sparingly. We really enjoy cruises, too. I think they’re a great value, I just want to make sure people know what to plan for. I’m glad you enjoyed your cruise and hope you get to go on another one at some point! If you do your homework before you cruise, you will find all of these so called “hidden” fees and will be prepared. My husband and I recently went on our first cruise and I was aware of all of this before we left home. Freida, We found the hidden fees before we cruised, too. Unfortunately some people don’t research before they go on vacation and are surprised! Hi Robby! Thanks for sharing! I agree that many of these fees are not 100% necessary and they don’t all go to Carnival. However, my very first cruise was a Carnival cruise and I wasn’t aware of many of these before I did a lot of research. Most people would incur many of these costs. Rather than find out about them after they book their cruise, I thought I’d share every cost I could think of so people aren’t surprised. Sorry you feel they shouldn’t be listed, but I’d rather help one person who wasn’t aware by listing something rather than leave it off. I have been on many cruises now so these are common sense to me now, but they weren’t on my first cruise. Lance THANK YOU for even taking the time, this is very helpful to many. It is to me !!!! By the way. do they allow us to bring mineral perrier water instead of the 12 please of sodas? Glad to help! The cruise lines are constantly changing their rules of what is and isn’t allowed, so I’d give them a call and ask directly to make sure whether your cruise line will allow Perrier water or not. Carnival now allows 12 pack of “canned” drinks only, 1 per person. I think the 12 pack bottled water is up to $3.99 now, no biggie. I bottle of wine or champagne per 21 yr & up adult. Carnival also has a Faster to the Fun program which costs extra, many people love using that and they are limited in #. If you get a Suite, you get priority embarkation. Spa Treatments are extra but they often steeply discount on port days when few people are on the ship. Some entertainment on certain ships is extra as well, 4 D thrill ride, Imax movie… The candy store sure ain’t free. Robby, Lance wasn’t suggesting that all of these extra costs go to Carnival! He was just pointing out that the brochure (or web) price does not reflect the ACTUAL TOTAL COST of the vacation. Unless, you live in the cruise embarkation port, there are going to be additional costs. In addition to the gratuities charge from the cruise line, taxi driver, porter, etc. ; we normally leave an envelope with cash for our stateroom attendant of about $5/pp/pd and we tip our dining room waiter similarly. Royal Caribbean provides a list of suggested gratuity amounts. These are suggested rates. Basically, if you feel the service you received was within your expectations tip the staff, they depend on it and really appreciate it. Talk to your room attendant you will be surprised by what they are paid and the hours that they work. The ship gratuities are shared among all of the Hotel Staff (rooms, wait, food services, laundry, etc.). On carnival these gratuities are paid in advance to about the tune of $92 pp for a 7 day cruise. Wow, I really should think twice before booking a cruise. You have to take into account the various expenses required for the fun you’ll be having OFF of the ship, as well as when you’re on it. I’ve been on a few cruises before, I they are amazing in value! The delicious food alone is worth the modest cruise fare, though it does encourage gluttony. I just booked a cruise yesterday. 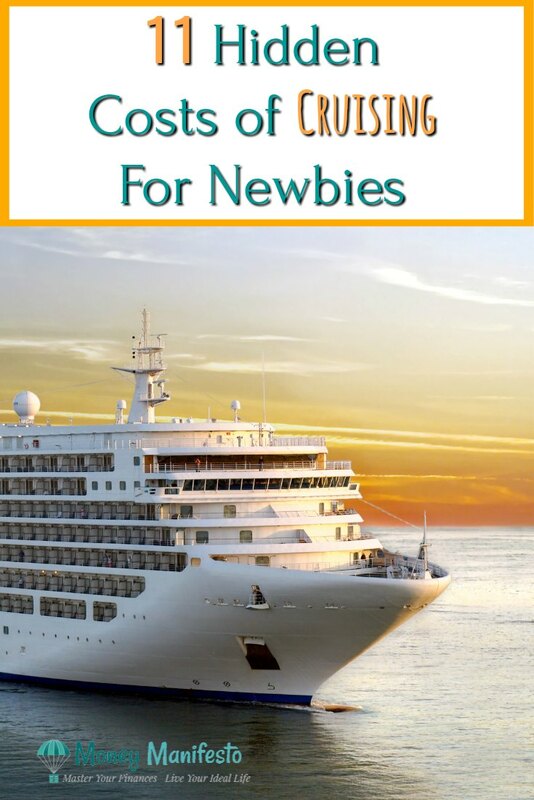 I am going with a toddler under two, but we’re paying adult price for him; while cruises do have great value, maybe not so much for a kid that barely eats and takes up minimal space. I’ve never been on a cruise, but it doesn’t surprise me that there are hidden fees. There are a whole bunch of hidden fees even at all inclusive resorts, and I gather cruises are like that only on a boat instead of land. Tipping actually gets pretty expensive! Thanks for this post, it’s coming at a perfect time for me. We’re in the process of planning a trip for the family (bf, me and my grandparents). A cruise is at the top of our list since they leave right from NYC and include everything (well except alcohol, but my grandparents don’t drink and we’re not huge drinkers either). My uncle went on a cruise to Alaska that had a pre-paid unlimited soda pass… but you had to pay ahead of time. Was there anything like that on your cruise? Also, how do they check you for wine? If you were really sneaky and hid a wine bag in a hidden compartment in your bag, would they find it? I’m just curious how thorough they are. Not that I’d need to do that! Also, you should really look into all-inclusives. Mexico has prices with airfare and resorts that rivals the per-day cost of cruises, especially if you go in September. My husband and I went to Jamaica to an all-inclusive booked through Costco travel and airfare, 7 nights of hotel, airport transportation from Montego bay to resort, a $100 credit for an excursion, plus free access to the Club Mobay airport lounge when we left for just under $2,400 for two people. Gratuities were included in that trip although we still did tip the bus drivers a few bucks. But tipping drinks was not the norm! Yes, they do have the soda pass. The price varies by cruise line, but currently it is $6 per person per day for adults and $4.50 per person per day for kids. Plus 15% gratuities of course! You have to have the wine in your carry on. You can try to sneak wine/alcohol on in your checked bag but they screen pretty well for it and they’ll take it away if they find it. They may or may not return it at the end of your cruise. They also check water bottles to make sure they’re sealed and not alcohol. I’ll definitely check out all inclusive resorts, but we really like the entertainment/comedy clubs on the carnival boats. They’re a ton of fun! I have been on about 5-6 cruises. I like certain aspects of cruising, but not all. I hate the extras and the fees. Cruising has distinct advantages when traveling overseas because it is based on U.S. dollars and you can hedge your costs and lock it in way in advance. The best way to get the best price is to be available in the off season and when the ship does not fill up, you get the best price. All the extras are the profits for the cruise line so watch out. As a South Florida resident who can’t swing a cat without hitting a cruise ship I’ve been considering going on a cruise for a while, and some of the offers I’ve seen have been so good I definitely suspected there had to be hidden costs. Definitely going to have to factor these in to the equation. Great post. Now that’s something we never did yet, but I do have my mind on some cruises. This will help us, when we decide to take the plunge. All this info can make a huge difference when having to deal with various specialized companies. It definitely can, although most of these are now standard charges on cruise ships. We just got back from a Carnival cruise a couple weeks ago. Parking was $75 at the Jacksonville port, which was a shock. Our last cruise was with Norwegian and parking at the port was free! Also Carnival allows you to bring on one 12 pack of soda per guest in your cabin. We took two 12 packs to avoid the high soda costs. Worked out great. They also have an unlimited alcohol pass, which is $54 per day per person, but you have to pay for it the entire trip and for everyone over 21 in your cabin, which stinks if someone isn’t a drinker. I think your list covers it all. Oh and be sure never to visit the medical office if you think you (or your kid, in our instance) have sea sickness. Their rates are expensive – $150 visit, only to be confined to our cabin for 24 hours and they wouldn’t “release” us early unless we got a $200 follow up doctor visit. Overall it was a great trip, and very affordable for a family. We couldn’t plan a vacation for 7 days for $1200 including lodging, food, and entertainment anywhere else. We took sodas and waters with us last time too. A great way to save if you like your soda! Great catch Arvie. I forgot to update for that. A good tip, my husband and I bought water bottles with a filter in it so we didn’t need to buy water bottles on the ship. Oh and little flavoring packets if you want to drink something sweet. 12 pack of water is now $4.50 as of December 2017. A six pack of coke is $10!! The unlimited soda plan is $33 per day per person!! Thieving on the seven seas. Well, I suppose its not all puppies and roses as the cruise companies would have us believe. I guess one does need to thoroughly research the companies they intend to take the cruise with and find the best options for their pockets. I don’t think its all of them that come with sneaky hidden charges. Most of these aren’t really considered sneaky, new cruisers just don’t know about them. I would be terrified to see my diet coke and alcohol bill after a cruise! That’s the main reason that I’ve never been on a cruise. You can take a 12 pack of coke per person and a 750 ml bottle of wine per person. After that your bill would start adding up. Thanks for sharing this tip Kim! I know prices change from time to time, but overall I think they will always offer a package like this. I just returned from my first Carnival cruise experience and we had to pay extra for drinks. They offer a deal that is all you can drink (like the food) for $50 a day. Thankfully, I live in the port city which significant reduced additional costs. I think the drinks are limited to 15 per day. That’s a ton of alcohol! They add a 15% tip on top of the $50 per day too, I believe. I used to work on Regent cruises and pretty much everything was included for guests. Alcohol, tips, and most shore excursions. Though I think the standard room was something around $1,000 per day, so obviously a bit different from carnival. That’s very cool! They must be a higher end line with that kind of price tag! Great article. I went on my first cruise three years ago and was not prepared for the gratuities, the debit card holds, and paying for activities on board. While I also still think cruising is a great value it is definitely something to consider when you see those extremely low prices advertised. Another pointer I have is call to see if the price of your cruise has ben lowered. I booked my cruise in April (departs day after Thanksgiving) and recently found out that it was about $60 cheaper per person since ships drop prices as the days come closer to fill up the ships. I called in and requested a price adjustment. The amount of the adjustment covered the $60 pp gratuities for my boyfriend and I and we had a $65 credit leftover any on board purchases. I will be calling again a few days before our departure to see if has dropped any lower. Very cool! I hope you get more price drops! Hey! Good idea!!!! I’m going to use that one!!! It’d be nice if everyone did that! What! Booze is not included?? This is why I love the all inclusive’s in Mexico and the Caribbean. Anything you want is free! I did not know about the port fees or (obviously) that the alcohol is not included. Some cruises I’ve looked into have seemed reasonable. But when you factor in the airfare and some of these other things you’ve mentioned, it seems like the overall price tag can add up pretty fast. They’re still a pretty good deal in my book. We love cruising!